 Mysore and Mughal Rulers were betrayed by their trusted cronies  History books have not mistakes, but rather gallant manoeuvres! Pakistan is full of contradictions. The baby country born out of the British India, just in August 1947, rightly claims a common heritage of 5,000 years with India. On the other hand, to promote anti-India feelings among the masses, the rulers and even the educationists in Pakistan have been busy naming their missiles as (Mahmud) Ghazni or branding Emperor Aurangzeb as the heroes of the Islamic Republic in the textbooks since last seven decades. Both are considered villains by a vast majority in India. Pakistan prefers to receive grants worth billions from UNESCO for the maintenance of the world heritage sites like Taxila i.e. Takshashila, an ancient global university where Kautilya alias Chanakya not only studied but also taught. Of course, the present day rulers prefer not to remember or pay homage to such great personalities. They also feel shy of taking credit to claim Panini, an ancient Sanskrit philologist and grammarian, born in the present day Khyber Pakhtunkhwa (PK), as their own. One should not forget that Islam was born in the 7th century and till 1947, Indo-Pak had a common heritage. Recently, during the latest conflict between India and Pakistan following Pulwama terrorist attack, the attitude of Pakistan leadership seems to have changed. Prime Minister Imran Khan preferred to call Tipu Sultan as hero while addressing the joint session of the Pakistan National Assembly and the Senate. One should not read much in the cricketer turn politician’s statement but it does reflect change in the thinking of the new leaders of Islamabad. The historians of Pakistan origin including K. K. Aziz and Ayesha Jalal have been not only keen to take up projects to rewrite the history but also tried to make conscious efforts to incorporate unbiased and factual history in the textbooks. The political masters always try to give twist to the history as it would suit them. Imran Khan calls Tipu Sultan the hero and has not much praise for Mughal Emperor Bahadur Shah Zafar. Even in India, Tipu is praised as one who laid down his life fighting the British and one who was disciple of the Shankaracharya of Sringeri Sharada Peetham like his father Hyder Ali. None can deny the fact that he got the temples rebuilt which were demolished by the Maratha army. 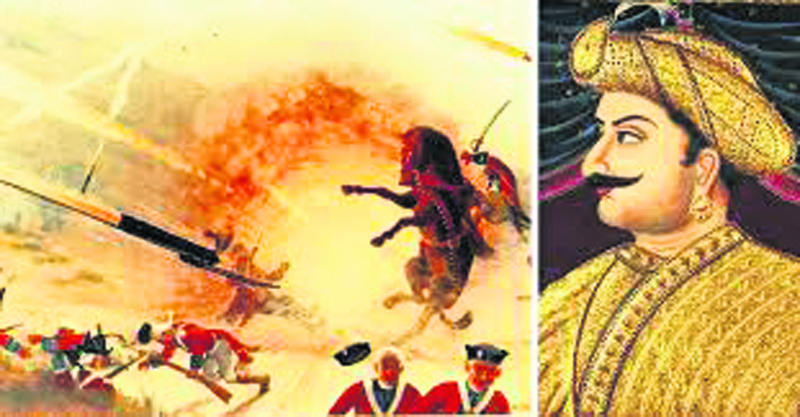 The Marathas and Nizam sided with the British against Hyder Ali and Tipu of Mysore. Imran Khan had drawn a comparison between the gallantry of Tipu Sultan (1750-1799) and the cowardice of the last Mughal Emperor, Bahadur Shah Zafar (1775-1862), who had to surrender before the British Empire. The celebrated historians and analysts in Pakistan have discussed both the personalities. Tipu, undoubtedly, is hailed as the hero in Pakistan but the last Mughal Emperor was called “a reluctant rebel” who led the 1857 mutiny against the British. The debate in Pakistan focuses on both rulers just had one thing in common; they were betrayed by their most trusted cronies. While Tipu’s trust was betrayed by his most loyal army general, Mir Sadiq, Bahadur Shah Zafar had fallen to a few British spies and informers like Hakim Ahsanullah Khan and Mirza Illahi Bux within his ranks. 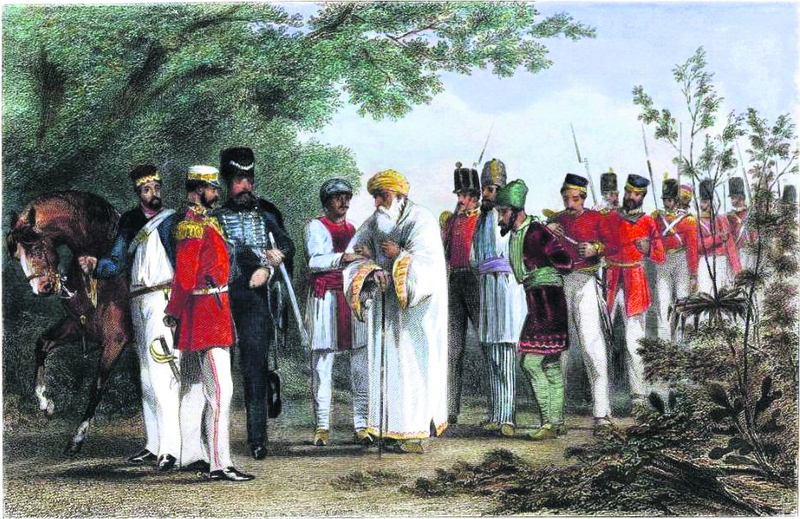 Zafar was exiled to Rangoon (Burma, called Myanmar now) by the British for his involvement in the Indian Rebellion of 1857, when sepoy (soldiers) regiments had seized Delhi, killing at least 52 Europeans. Zafar’s youngest wife, Zeenat Mahal, his previous wives and some remaining members of the family, had accompanied him to Burma on October 7, 1858 in bullock carts escorted by the forces of Lieutenant Ommaney. The 1857 uprising had started from Meerut and Mutineers entered Delhi from Bridge of Boats on Yamuna and took control of Delhi after proclaiming Zafar as their King and vowed to restore the court of Great Mughals. This followed by an intense fight between the ruling British and mutineers, which resulted in mass devastation of Delhi and eventual collapse of first Indian struggle of freedom of 1857. Bahadur Shah foolishly thought British will be merciful to him. He surrendered at Humayun’s Tomb in Delhi and was arrested on 20 September 1857 by the British forces led by Major William Hodson. The next day Hodson shot his sons Mirza Mughal and Mirza Khizr Sultan, and grandson Mirza Abu Bakar under his own authority. The severed heads of the princes were brought before him. Zafar’s trial at Red Fort had lasted for 41 days, had 19 hearings, 21 witnesses were brought to the dock and over a hundred documents in Persian and Urdu, with their English translations, were produced in the court. The 82-year old Zafar did defend himself, pleading he was helpless before the will of his soldiers (sepoys), but to no avail. He had stated in his defense that the sepoys had affixed his official seals on empty envelopes fraudulently to implicate him in the mutiny. Hakim Ahsanullah Khan, Zafar’s most trusted confidant, his Prime Minister and personal physician, had also betrayed him by testifying against him at the trial in return for a pardon for himself.